Guide on planning, implementing and monitoring activities at national level. This guide provides the best available information on managing morbidity and preventing disability after acute dermatolymphangioadenitis (ADLA; acute attacks), lymphoedema or elephantiasis, and hydrocoele. 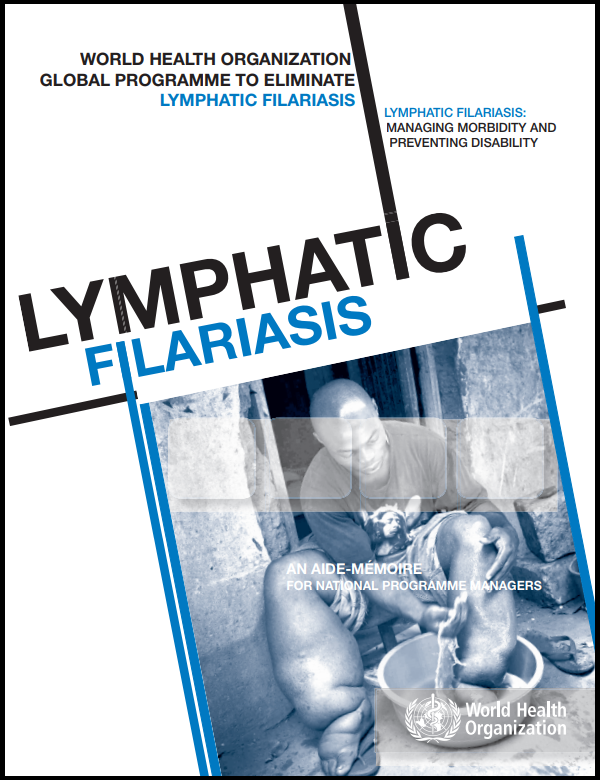 It also provides general operational and managerial guidance for reducing the number of cases of lymphatic filariasis and providing care for those affected. WHO, 2013.